Friends don't let friends resign from the U.S. Senate amid sexual misconduct allegations, according to Sen. Joe Manchin. The West Virginia Democrat said Monday that Sen. Al Franken, D-Minn., should not have announced his resignation this monthand is urging him to reconsider leaving his post. "I definitely think he should not resign," Manchintold CNN. "I think he should submit himself, which he has willingly done and offered to do. And go through this complete process of an extensive ethics review, and whatever the outcome is I will live with it. I can live with that." 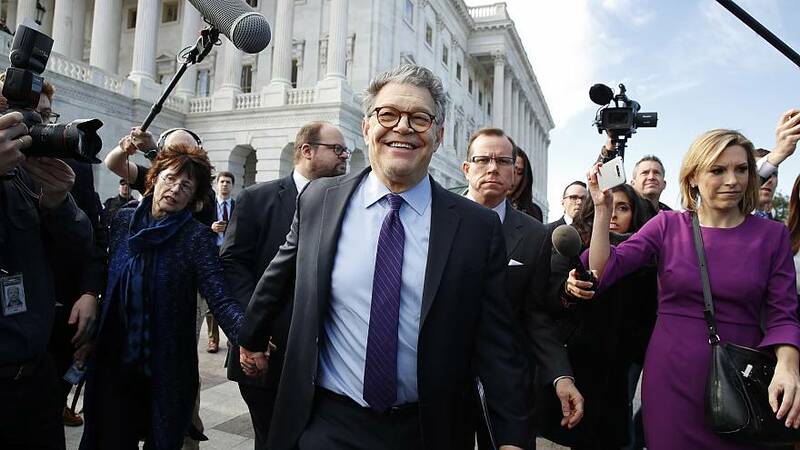 "I think that Franken should go through the process of what he's asked for — due process," he said. Manchin added that Franken's resignation was "most certainly" premature and said he felt sickened at how his fellow Democrats turned against him. "I've seen a person that his own caucus has turned on," Manchin said. "It just made me sick, it really did." "It's just unbelievable to me how you can destroy a human being's life and his family and everything that they stand for without giving him a chance," Manchin continued. "I think everybody is just caught up about, you know, who's going to outdo the other, and it's just ridiculous. People should have a process." According to Politico, Manchin is one of four senators actively urging Franken to not resign. Franken announced this month that he would step away from the Senate "in the coming weeks," amid a string of sexual misconduct allegations and mounting pressure from fellow Democrats. He announced his decision on the Senate floor on Dec. 7, a day after a cascade of senators, led by Democratic women in the chamber, called on him to quit. But as of Monday, Franken hadn't yet revealed exactly when he would resign, despite the fact that Minnesota Gov. Mark Dayton has alreadynamed Franken's replacement, Lt. Gov. Tina Smith.